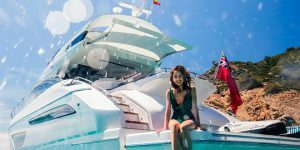 The Princess S78’s central stairway from the swim platform is one of many design innovations that make this 39-knot beauty so popular. And this flagship of the British builder’s sports yacht class, is the first-ever to house a state-of-the-art Naim audio system. [Words Kevin McDermott Photos Princess Yachts] The Princess S78 looks gorgeous from behind. 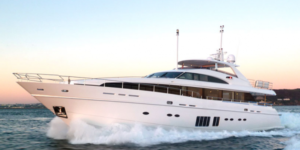 Even when lined up alongside her fellow Princess models and yachts from other builders, she’s the one that catches the eye and makes you want to jump on. 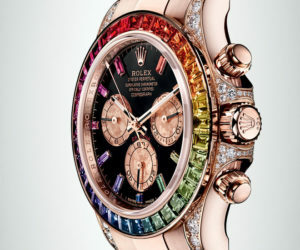 That has a lot to do with the fact she has just one central stairway from the swim platform to the cockpit, instead of one each side as is seen on the vast majority of yachts. And it’s not just change for change’s sake – this novel arrangement looks great and functions beautifully. 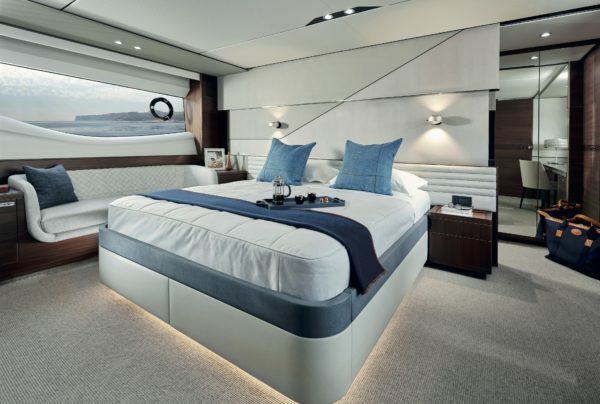 Depending on how the modular furniture in the cockpit is arranged, this central pathway can extend all the way through to the saloon, creating a completely fresh look and feel to the aft of the yacht. 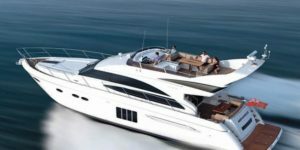 Princess’s new R35 may have garnered a lot of attention this year as the first yacht in the new Revolution class, but the S78 has caused quite a stir of its own since its premiere at Boot Dusseldorf in January. 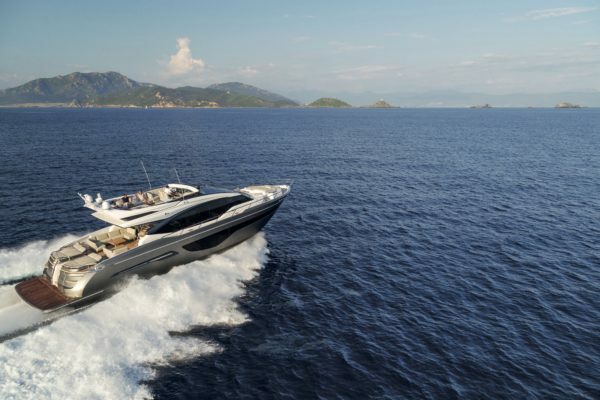 The 79ft yacht – which tops out at a seriously impressive 39 knots – is built on the same assembly line as Princesses Y75 and its sales have outperformed all others to the pleasant surprise of senior management. Walking up from the hydraulic swim platform to the cockpit, you pass between two double sunpads with adjustable headrests, so you can read while facing out to sea. Aft-facing sunpads at the back of the cockpit are proving increasingly popular and it’s easy to see why. In the main cockpit itself, a modular furniture system opens up layout options for seating, with the chairs fitted into floor sockets or left loose. A logical layout is a large C-shaped couch around the folding teak table to port with a corner sofa to starboard, but its fun to play around with new arrangements. 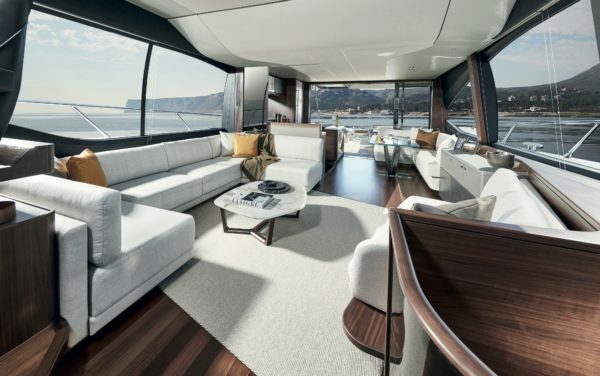 With the sliding doors pushed to the side, the cockpit and saloon blend into one huge covered area, brilliantly by the cockpit countertop design merging into the aft gallery, which faces an L-shaped sofa and a sliding glass dining table. 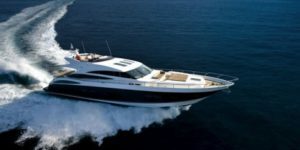 Moving further inside the saloon and all the winning Princess features are on show – full-length windows, beautiful woodwork, metal inlays, recessed lighting, immaculate finishing. A large C-shaped couch to starboard is the main lounging area, but the fact that the small portside couch hiding the TV opposite is just slightly at an angle shows that the designers let their creative juices flow on this model. It’s also worth noting the fantastic impact of the forward skylight – a feature not found on the Y class – and how much the saloon benefits from the natural light that comes in. 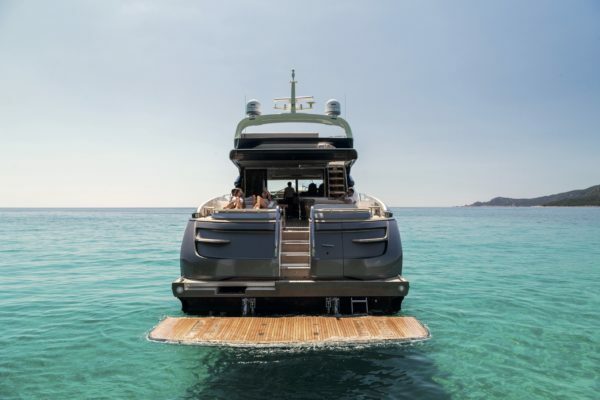 Along with the central passageway from the swim platform, one other breakthrough on this yacht is that it’s the first to have a Naim audio system fully integrated into its design. For those not so familiar with audio brands, Naim sits at the very top in terms of quality and pricing. Naim’s four-piece Uniti Atom system is fitted as standard in the cockpit, saloon, up on the flybridge and down in the master cabin – so across all three decks – while a Mu-so Qb wireless system is installed in the forward VIP cabin. A Naim app can control the audio in all four areas. At the design stage, once the system was installed, each of the musical zones was fine-tuned by a Naim acoustician, who even ensured sound didn’t bleed into the next room if different tracks were being played. Having witnessed it live, it’s fair to say the sound is awesome. Furthermore, there’s even a premium package on offer that features eight Uniti Atom units plus a Uniti Star. Naim audio aside, the lower deck is more familiar territory as it takes its cues from the Y75, so there’s a private portside staircase to the full-beam master cabin midships, which has full-length glazing and a porthole on each side.